My first trip to China as a student of the language was in 1984, just a few years after the country’s economic opening. The growth and maturation of the Chinese market ever since has been mind-boggling to watch. These days, the Chinese consumer marketplace is no longer an emerging market, but, as the world’s second-largest e-commerce market, a force to be reckoned with. Brands including Adidas, Nike, and Prada reach Chinese consumersl via Alibaba, the newly public Chinese e-commerce giant, which handles more sales transactions than Amazon and eBay in the U.S..
By connecting buyers and sellers across the world, Alibaba enables retailers to find new opportunities for revenue in a market that has previously been difficult to tap. From small vendors selling unique products to global technology manufacturers, from personal items to large consumer goods, if there’s demand, Chinese consumers can find it on Alibaba. 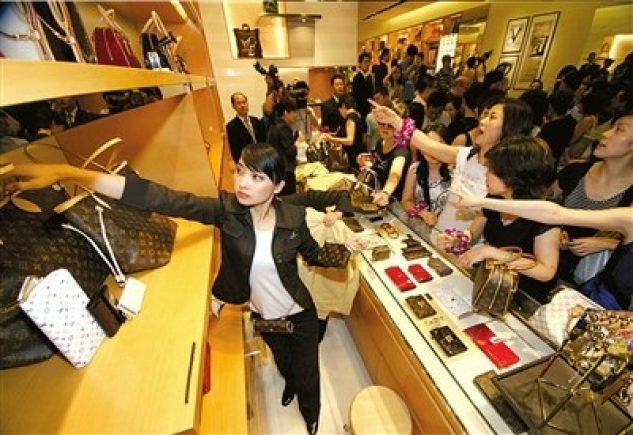 As the buying power of Chinese consumers rises, brands must work harder to attract buyer attention and generate demand for their products in order to earn customers’ hard-earned yuan. Selling goods and services in the Chinese marketplace means producing marketing content that will attract buyer attention and stand out from the competition. The best way to engage consumers is with personalized marketing, and the best personalized marketing is localized. To engage Chinese consumers in “mainland” China, fir example, product information, marketing materials, and digital content must be translated and localized into simplified Chinese. For Hong Kong, traditional characters are necessary. In addition to ensuring the written language is correct, marketers must understand the varying cultures and colloquialisms within each region in China, adjusting their content to meet different needs. For example, product safety is a priority for Chinese consumers, who will often pay more to ensure the products they’re buying meet high safety standards. Thus, marketers would be smart to focus their messaging on product safety. Also, as Chinese consumers spend more time online, it is critical to localize digital marketing content and pay attention to which sites they spend time on. The social media sites popular in the U.S. are not accessible in China—they’re using Chinese sites such as RenRen, Weibo, Tencent, QQ, and WeChat—so that’s where your brand’s localized content needs to be, too. Alibaba’s IPO was history-making, not only in terms of the huge dollar amount, but it is making U.S. companies pay more attention to China. In turn, that will impact global commerce moving forward. Today, the companies that are successfully generating revenue in China are doing global right—reaching their target audiences where they buy, localizing product names and materials, targeting their messages to meet a hypermodern audience’s needs, and communicating trust to grow brand loyalty in a status conscious society. This article first appeared on CMO.com. The Chinese consumer marketplace is no longer an emerging market, but a force to be reckoned with. The best way to engage consumers is with personalized marketing, and the best personalized marketing is localized. Alibaba’s IPO was history-making, not only in terms of the huge dollar amount, but it is making U.S. companies pay more attention to China.